Online gambling seems tailor-made for Bitcoin adoption. The dual needs for quick, dependable transactions across national lines and for privacy are easily met by the cryptocurrency. This has resulted in the two developing hand-in-hand. A sign of Bitcoin’s importance in gambling can be seen in the 2014 book, ‘The Anatomy of a Money-like Informational Commodity.’ The author, Tim Swanson, points at that at one point, where half of the transactions on the Bitcoin network were concerned with bets sent to the popular betting site, Satoshi Dice. Online Bitcoin casinos will want to know more about these gamblers to better understand them. Understanding will make it easier to get them to craft a gaming experience that will get people playing. Bitcoin casino players are usually Bitcoin enthusiasts when they are not at the gaming tables. Anyone who wants to learn more about Bitcoin should drop by the two biggest sites of the community. One is the Bitcoin-centric Reddit community, r/Bitcoin, on the popular networking service, and the other is the premier Bitcoin forum, Bitcointalk.org. Both of these are the central hotbeds of Bitcoin community activity as people mingle with each other and discuss the latest developments. Bitcoin gambling sites often find themselves advertising in these places, mostly because of the easy forum atmosphere. It is not all sunshine-and-roses, though. Complaints of censorship have been made against the two and this has resulted in a lot of Bitcoin enthusiasts seeking less restrictive sites. There are several alternatives available. For Reddit, the ability to make new subreddits under different moderators has made it easy to find alternatives to r/Bitcoin. Some examples include r/bitcoinall, r/bitcoinxt, and r/CryptoCurrency. Finding an alternative forum, however, is a bit more difficult. 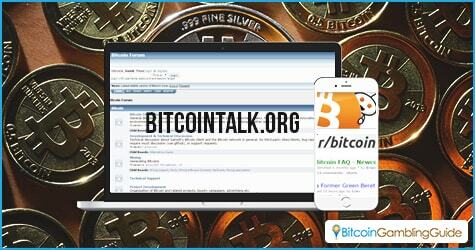 Bitcointalk.org is still the biggest forum dealing with Bitcoin. Close behind is the blandly named Bitcoin Forum. After that, an interested reader may have another factor when selecting a forum, like nationality or interest. For instance, Canadians will probably like to hang out in the Canadian Bitcoin forum to read and share about local developments. Knowing where Bitcoin casino players are is just one step to understanding them. Learning about their spending habits is another. After all, they cannot just be gambling with their bitcoins all the time and they need to have a way to enjoy their winnings. Unsurprisingly, one of the main focuses of spending occasional Bitcoin gamblers have is that of turning their stash of bitcoins bigger through various means. The most popular way to do so is by using bitcoins to join a mining pool. Mining pools are aimed at making mining less onerous by sharing the burden. In this instance, a person’s bitcoins can purchase new equipment to mine more coins. Other interesting ways that people use to grow their Bitcoin hoard is through investment and trading. Similar to foreign currency trading, investors can take advantage of Bitcoin volatility by trading on a Bitcoin exchange. There are other investment opportunities available. 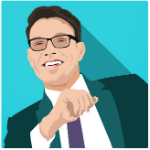 Take Bitcoin binary options and forex trading as examples. These financial instruments have become available for Bitcoin for a few years already, and they prove to be good options for investment purposes. In fact, some casinos have already integrated binary options into their platform. FortuneJack, a popular cryptocurrency casino, combines the appeal of binary trading with unparalleled cryptocurrency gambling experience. 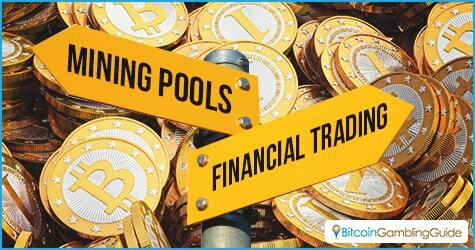 This move is a commendable since Bitcoin trading and investment platforms are also a prime breeding ground for potential Bitcoin casino players.